On this page you will find information about Aquatic Invasive Species and efforts to keep them out of Long Lake including information on our watercraft inspection program and where to find the Hubbard County Decontamination Station. We hope you will check out all of the links; they contain a wealth of information. Report location of suspected invasive species to the MN DNR Invasive Species Specialist Nicole Kovar at 218-732-8960, ext. 222. Use TIP line to report violations: 1-800-652-9093. Female zebra mussels can produce up to 1 million eggs per year. Fertilized eggs develop into microscopic, free-living larvae (called veligers) after about 3 to 5 days and are free-swimming for up to a month. Optimal temperature for larval development is 68-72 F. Dispersal of larvae is normally passive by being carried downstream with the flow. Zebra mussel veligers are microscopic and are not visible to the naked eye. Veliger monitoring involves field collection from a boat using a plankton net and then laboratory identification by a trained professional. The LLAA Water Quality Monitoring Team has been testing for the presence of zebra mussel veligers (larvae) the past two years typically in July and August and sometimes September depending on the water temperature. NO zebra mussel veligers have been present in our Long Lake samples. Monitoring a non-infested lake allows for early detection if the lake becomes infested. This early detection of zebra mussel veligers can prevent spread to other water bodies. On each sampling date, lake water which has been filtered through the special plankton net and may contain veliger samples is collected in one composite sample bottle from 3 specific locations on the lake. A special plankton net purchased by LLAA is used which is very fine mesh (64-micron). The preservative 91% Isopropyl Alcohol is used for the composite sample. The RMB Environmental Laboratories has helped determine the best 3 sampling locations on Long Lake taking into account prevailing winds and lake topography. The sampling protocol was determined by RMBEL and MN DNR and other resources. Training on the testing protocol was provided by RMBEL and coordinated by the Hubbard County Soil and Water Conservation District for the interested Hubbard County Coalition of Lake Associations Water Quality Monitoring teams the past 2 summers. The analysis of the composite bottle for LLAA by RMBEL currently costs $90. This information is provided by program manager, Nate Sitz, (Hubbard County Soil and Water Conservation District) and includes the year's charts/statistics. This is a summary of information from program manager, Nate Sitz, Water Quality/Resource Specialist at the Hubbard County Soil & Water Conservation District (SWCD), for the Long Lake 2013 Watercraft Inspection/Education Program. Statistics are combined from both the north and the south accesses. In the 2013 season we conducted 1468 inspections with 1039 hours of inspections. Our inspection rate was 1.41 inspections per hour. Our first day was 5/11/13 and we conducted inspections through 9/29/13. Of our 1468 inspections 793 were entering and 671 were exiting. Of the 793 entering boats 13 had vegetation attached, 49 had the drain plug in, and 22 had water in the boat. Here are some highlights from the Hubbard SWCD statistics for the Long Lake AIS Watercraft Inspection Program at the two primary accesses for the Summer Season of 2012. The total number of boats inspected was 1310 representing 19 different states. These inspections are really meant to be training opportunities for boaters. We touched over 1300 boaters and trained them on best practices to prevent the spread of AIS. For example, the individuals were coached to use a sponge where water in the boat was evident and then to later bleach the sponge. This will prevent zebra mussel veligers in standing water from entering the lake. 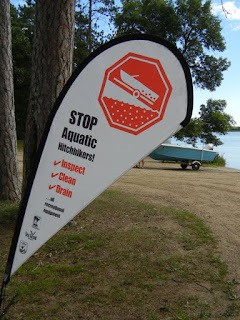 Hopefully, the educational inspection process helped these boaters and their guests to understand even better the MN Aquatic Invasive Species Laws and why they are so important for our healthy Long Lake. 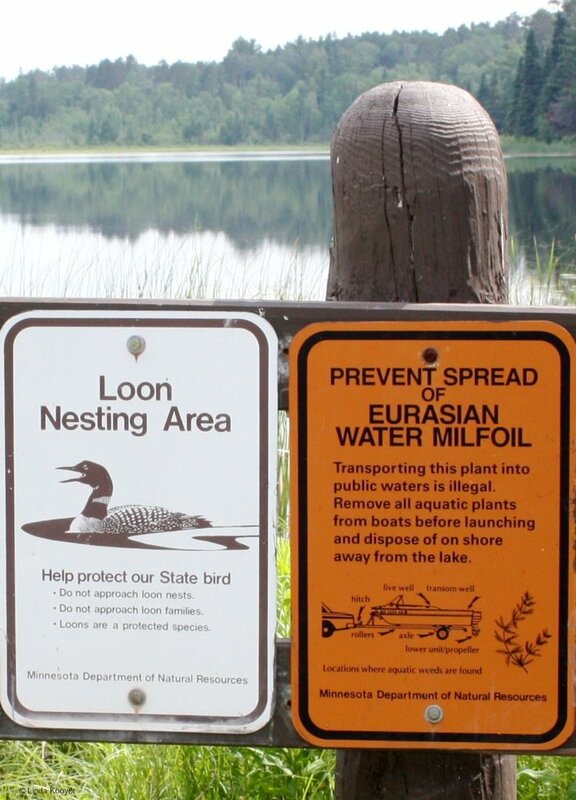 Thank you for helping to protect Long Lake.